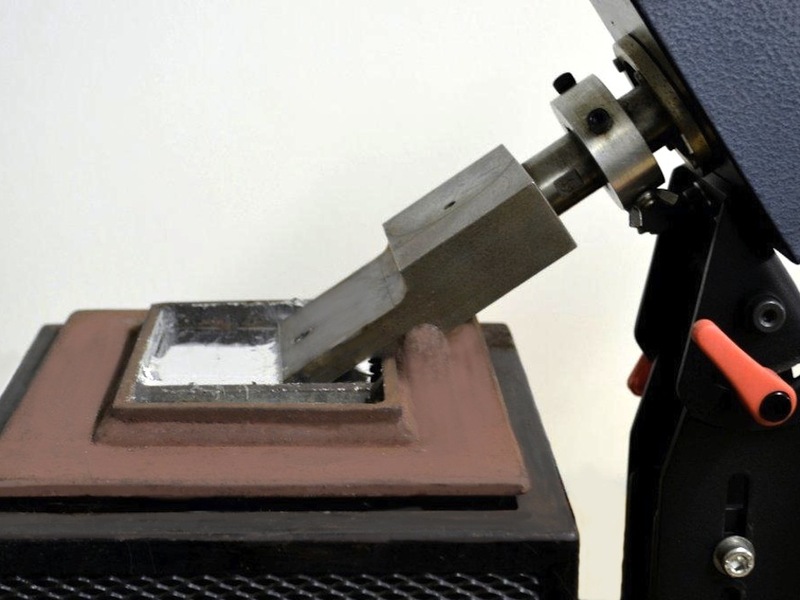 The Solbraze Ultrasonic Soldering System makes possible the dip tinning of a wide range of both metallic and non-metallic materials without the use of any flux. The ultrasonic soldering system consists of two main components; an ultrasonic probe and a generator. The design of the probe is such that it will resonate at a set ultrasonic frequency of around 20kHz which is transmitted to the solder bath via a transducer and ultrasonic probe, or sometimes referred to as an energy horn. This horn or probe enters through the side of the solder bath and is partially immersed in the solder. The generator will automatically adjust its output frequency to match the exact resonant frequency of the probe assembly. 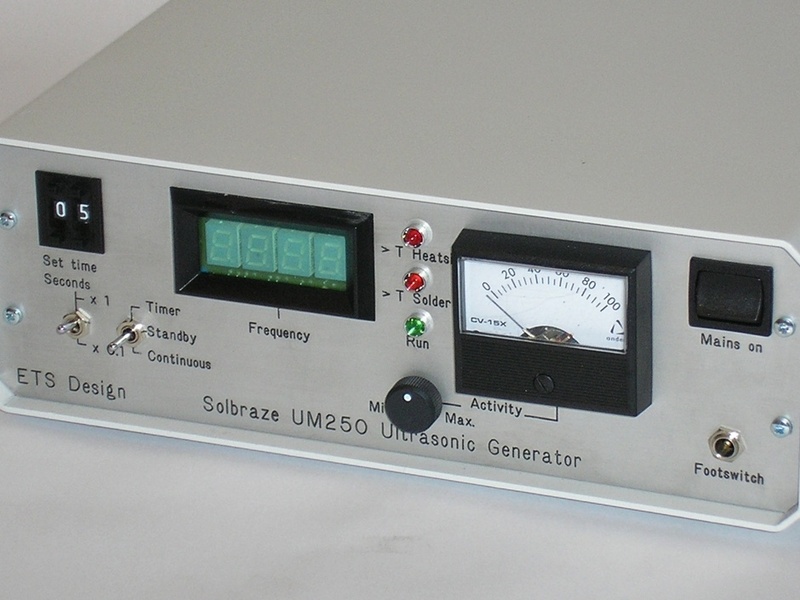 The generator also controls the amplitude of the ultrasonic vibration, and will give a maximum power output of 250W. The system is usually used with a solder bath which has an element rating of 700W and a capacity of approx. 10 kgs. There is a solder temperature light on the front of the generator which is not in use during operation without a solder bath. It is essential that the ultrasonic transducer remains cool, and because of this the transducer housing is fitted with a fan, and compressed air is supplied to the cooling collar on the probe. If the supplied system is used with small components heated by hot air, it is likely that the compressed air cooling will not be required.